Solar Panels and Solar Accessories - Pinktronix Terrestrial & Satellite Television Installation Services. PinkTronix – Solar Panels and Solar Accessories. 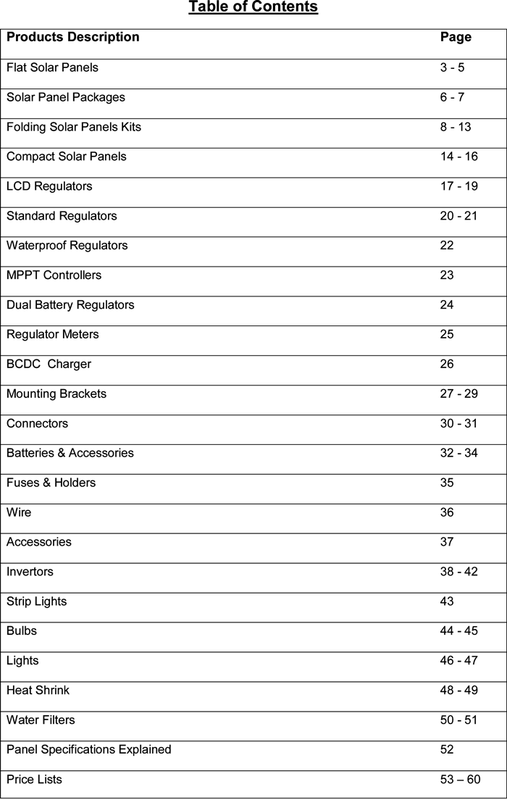 PinkTronix is a reseller for a major Queensland importer of quality solar equipment and other caravan products. Pricing is in a separate section at the bottom of this PDF download. You may browse and price a little easier if you open the pricing section in an adjacent web tab and switch back and forth as you peruse each catalogue page. The full document index is shown below. Select PinkTronix as your installer for all your caravan accessories and enjoy a fully integrated tidy approach without that "bird's nest" wiring look and none of the problems associated with add ons when employing multiple installers.